LFO Design posts a look into how to procedurally texture organic models right in the Redshift shader graph. LFO design explores the basics for procedural shading in Redshift. Check out this step by step look at how to create a basic template for procedural texturing of organic models right in the Redshift Shader Graph. 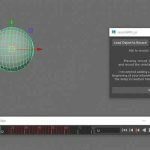 The tutorial comes as an excerpt from a more extensive course they offer called “The Complete Guide to Using Redshift 3D“. One of the techniques covered is using is vertex selection. 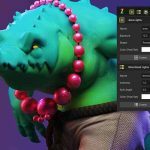 The complete guide to Redshift is pretty much everything that you need to know about lighting, shading, texturing and rendering. The training is by multi award-winning team from the feature film and VFX industry. Pre-Sales for this will start from the beginning of March 2019.